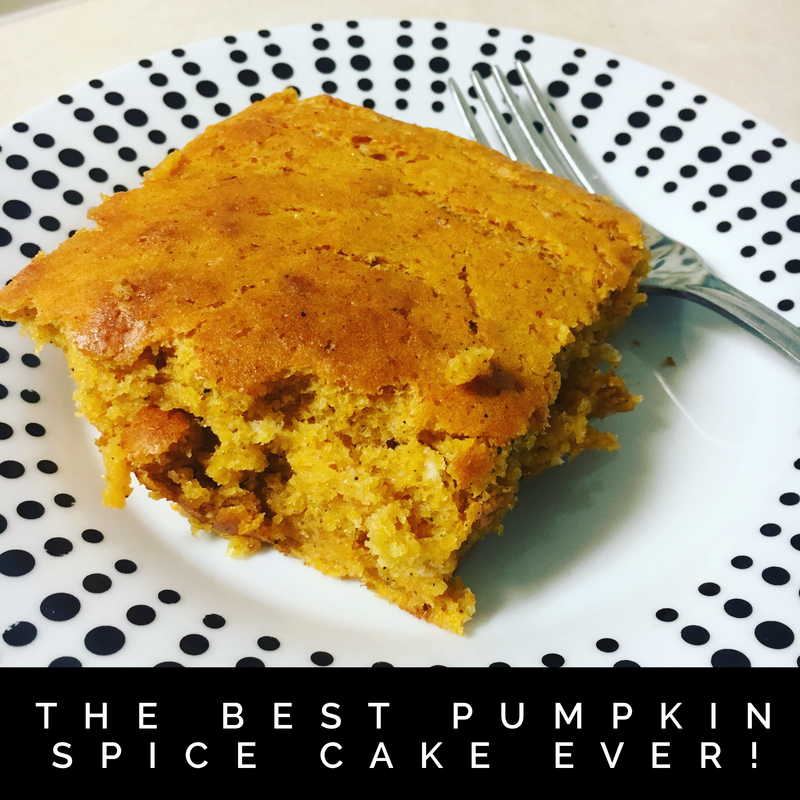 The Best (and easiest) Pumpkin Spice Cake Ever! Note: I didn’t have pumpkin pie spice, which can be used in place of these spices. 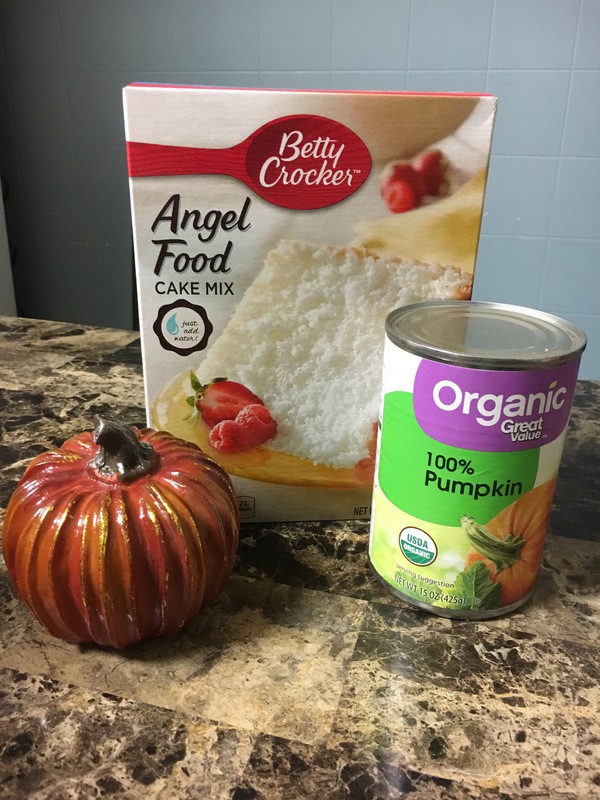 Just use 2 tsp of pumpkin pie spice. Put all ingredients into a bowl and stir well with a large spoon or whisk. Pour into a lightly greased 9×13 pan. Bake on middle or highest rack for 30 minutes.